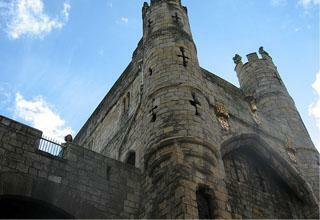 Head to York on a short break and you’ll have the chance to visit a number of weird and wonderful museums. The following institutions will certainly make for a fascinating day out with a difference. Perhaps one of the city’s most unusual cultural venues is the Richard III Museum. Situated in Monk Bar, the tallest of the several medieval gatehouses surrounding York, here you’ll be able to gain an insight into the life of the English king, who ruled between 1483 and 1485. The exhibition is presented in the form of a trial, exploring Richard III’s alleged part in the murder of Edward IV’s two young sons in 1483 and you’ll get the chance to form your own opinion over whether or not he was guilty of the crime. Originally used as a guardhouse, it has also served as a prison and police station over the years and features a rare example of a working ancient portcullis that you can even have a go at operating yourself! There are three rooms in this historic 14th century property, with the uppermost execution chamber said to have been built under the specific orders of the king. It is believed Richard III himself personally supervised its construction and paid for it out of his own money. Located one mile from the train station, admission into the museum is £2.50 for adults and £1.50 for senior citizens and concessions, while children can enter for free. 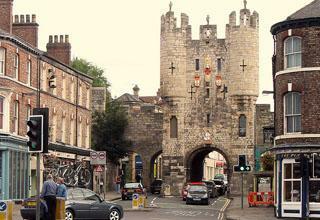 Micklegate Bar Museum is another fantastic institution that you can visit while in York and in the same way as the Richard III Museum it can be found by following the city’s famous walls. Built in the 12th century, the gateway, which lies just off Nunnery Lane, has served as the main entrance point for reigning monarchs visiting the city and was also the place where the heads of executed traitors were displayed in medieval times. While it is no longer used for such gruesome purposes, by spending time at the museum you’ll be able to learn more about the numerous battles and uprisings to have taken place in the city over the centuries and find out how weaponry and warfare developed from Roman times right through to the War of the Roses. Entrance fees for Micklegate stand at £3.50 for adults and £2.50 for concessions, although children can go for free if visiting with a paying adult. However, upon making your initial payment you will be entitled to 12 months’ admission, perfect if you plan on visiting York again in the future. 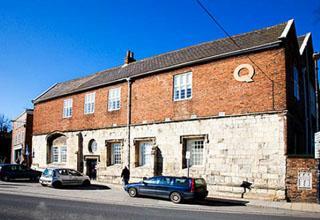 You may also find that a trip to the Quilt Museum and Gallery makes for an unusual and intriguing day out in York. Situated in St Anthony’s Hall in the Peasholme Green area of the city, this is the first museum in the country that is dedicated to quiltmaking and textile art. Here, you’ll be able to view a wide variety of clothing and textiles, including a silk coverlet made in 1718, the earliest known example of dated British patchwork. Other items in the museum’s 700-plus permanent collection include mosaic patchwork and an 18th century corded quilted baby’s cap, while temporary exhibitions are held throughout the year. Open Monday to Saturday from 10:00 to 16:00, admission for adults is £6 and £5 for concessions. Alternatively, why not visit the York Model Railway Museum? Located next to the city’s train station and National Rail Museum, the building is home to a 320-metre model railway system with up to 14 miniature trains running at any one time, including the Orient Express and Intercity 125. With the set completed by hundreds of tiny trees, lorries and cars, any rail enthusiasts are sure to find the exhibition is incredibly realistic. You can even get involved with its operation thanks to the presence of several interactive buttons, while kids will be able to play with a Thomas the Tank Engine display. Whether you choose to visit just one of the above museums or all of them, you can be sure that you’ll see some fascinating exhibits during your time in York. Mark the author of the “Weird and wonderful museums of York” is a final year student at the University of York.